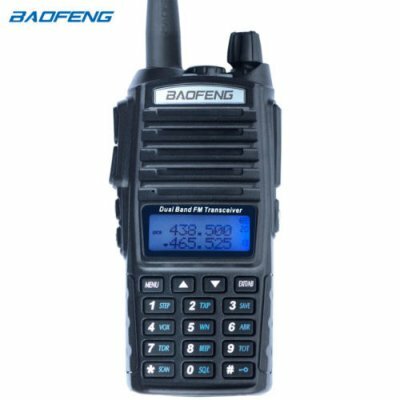 Successfully Added Two-Way Radio Transceiver UV-82 Dual Band 136-174MHz VHF & 400-520MHz UHF(Black) to your Shopping Cart. High/low power settings (5W/1W) programmable amateur radio. Frequency range: 65-108 MHz (only commercial FM radio reception) VHF: 136-174 MHz(Rx/Tx). UHF: 400-520 MHz(Rx/Tx). Customize channel names, the boot display and more by using the PC03 FTDI programming cable. 2800mAh battery. Broadband (wide) 25khz / narrowband (narrow) 12.5khz selectable.